No clues this time! If this one is guessed a prize will be given to the first person who gets it right. Good luck, as I could never guess what it is, lol. It looks like a deer hide. Is it an animals skin? My first thought was rawhide for a dog, but it seems really big. I'll have to ponder on this one and get back to you. Oh wow! This is a good one. I have no clue what this could be..... I look forward to seeing the answer. Yay, another one of the guessing pictures! These are fun, I show them to my students hahaha. 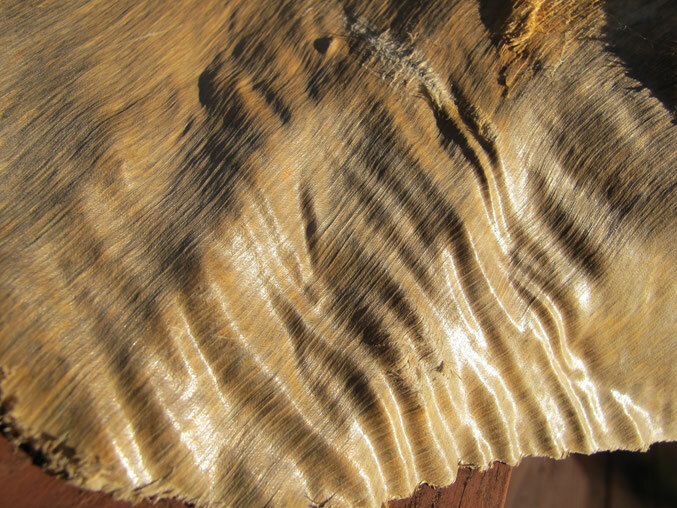 It looks like wood but I have never seen would ripple like that. I think it has to be wood too. Its wood jerky, for termites.